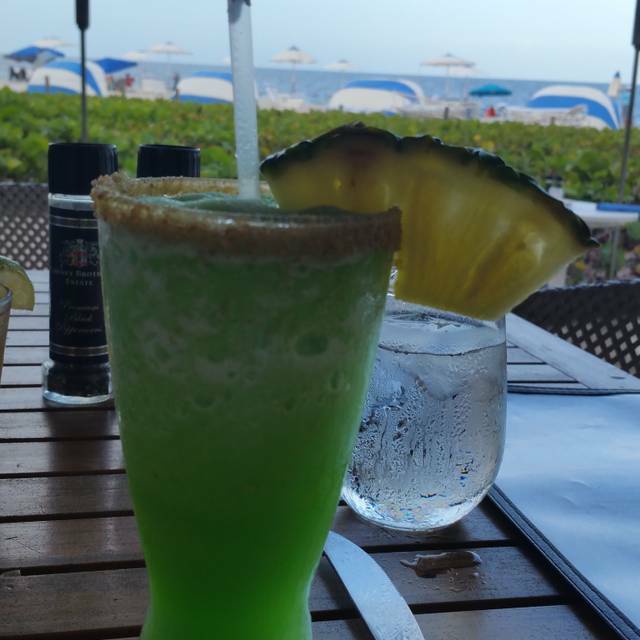 You must make reservations at least 5 minutes in advance of the time at Ocean Grill & Tiki Bar - Beachcomber Resort. Large private parking lot across street from hotel. No charge to park. We future beach side musicians nightly in addition to weekend afternoons. Grab a bite at any of our Ocean Grill locations—outside under the chickee hut, inside the air-conditioned dining room, or even at a table in the sand—where we offer fresh local seafood with a Mediterranean & Caribbean approach. 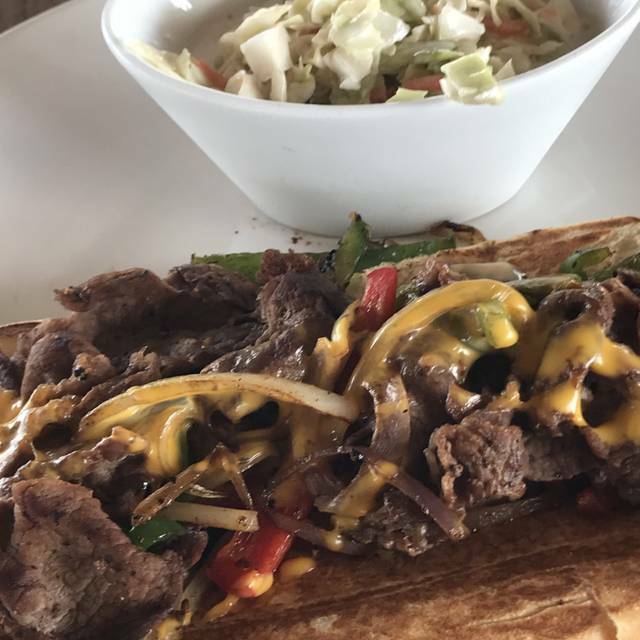 Our wide variety of tasty appetizers and entrees, from creative sandwiches to seafood specialties, is sure to leave you satisfied. Brought friends for lunch. First time for them. Loved everything about location, food and staff. We all will be returning in future. Table was on the sand, so our shoes came off while dining. very beautiful experience!!!!! food was amazing with the sunrise ocean view. Patio hut type dining with plastic covering to keep out rain. Great service average food. Oceanside dining which was very nice. This was our first time here and unfortunately the last. My friend and I ordered surf and turf. Waitress said it was a 6oz fillet and 3 jumbo shrimps. Ended up getting a 2oz fillet and 3 medium sized shrimps. Also, my husband ordered a 12oz steak and half of it was fat so ended up returning it too. The manager was kind enough to take it off the bill and offered free dessert too. It’s a shame because it’s a very romantic place with a very nice view of the beach. Great relaxed beach dining. Food was fresh and tasty with adequate portions. Service was friendly and prompt. We enjoyed our dinner there! 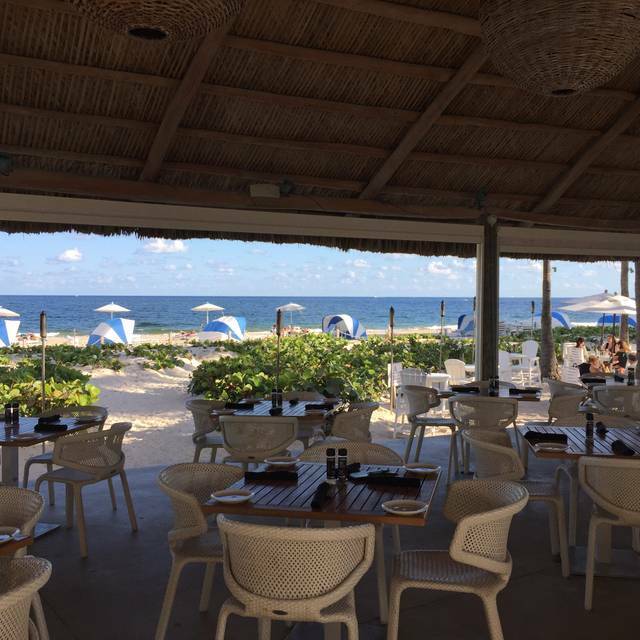 The food was delicious, our server friendly and, of course, you couldn’t ask for a better view of your he ocean! We would definitely recommend it to our friends! Very pleasant experience. Our server Brian was excellent. Enjoyed our dinners! Will be back. Guests should come here for the view and for the ambiance. 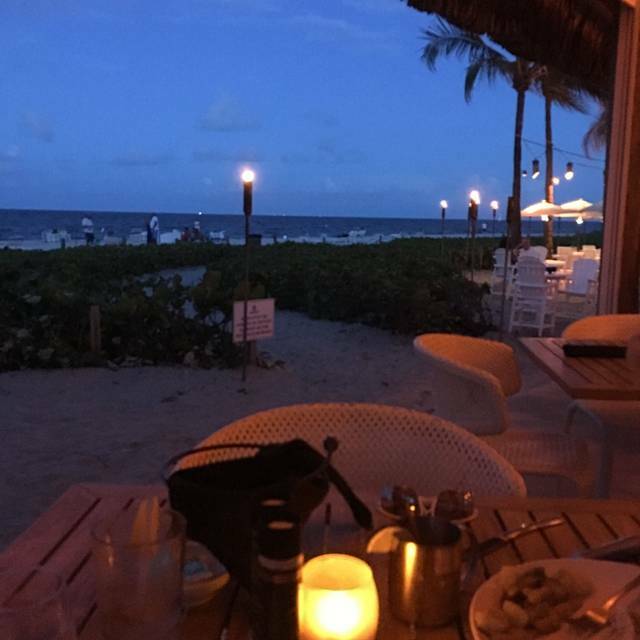 You can not compare with dining beach side with a clear view of the water while the sun sets behind you. Try the deviled eggs if you want something different. Many competing but complimentary flavors. The food’s okay - it’s not a bargain but you come here for the ambiance. There was a guitarist taking requests and contributing to the experience. We would probably come back. Awesome food and great atmosphere. Very romantic. 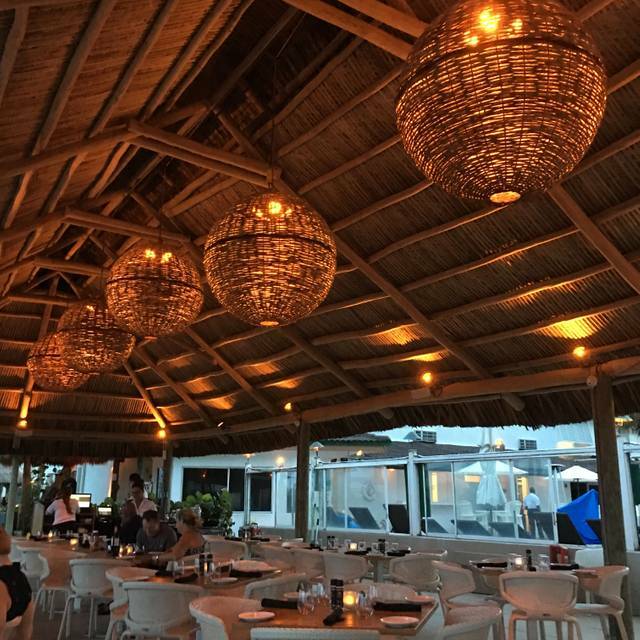 Love the ambiance of this restaurant—looking at the ocean and the beach always makes me happy. To make it even better this restaurant has great food and excellent, friendly servers. Dining on the beach, on a warm evening. It was perfect. I was there with a friend. We shared the coconut shrimps; they were delicious. And then we had the grouper. Food was excellent and the service perfect. Eggs should not have any brown on them. Please, please fix that. It took 1 1/4 hours to get our food. Our server was very nice but the kitchen was quite slow, best part about this place is the view. We enjoyed a nice lunch under the chickee hut looking out on the beach. Great casual atmosphere and the food and drinks were excellent. Just one word “Superb”. Went there on my anniversary and it was worth it, food atmosphere, splendid views just awesome. Food, drink and service great! Lovely evening, sat on the patio, not the beach and enjoyed watching boats and people on the beach while eating. As we were finishing up, a Jimmy Buffet style entertainer started playing nice, rexaing music. We stayed for an extra drink to enjoy the music. Our server never rushed us to leave. A truly awesome evening! The restaurant is beautiful. Location amazing. Literally eating with your toes in the sand. Menu choices are limited. Beautiful restaurant literally on the beach. Order was taken quickly, food came out quickly, but then waitress never came back to see if we needed anything, if we wanted desert, bring us a check, nothing. We had to finally flag down someone else to just get a check. Food was good. Amazing atmosphere. Waitress was really nice but service could have been better. Have had a place in Pompano since 1977 and this was our first time there. We all agreed it was one of the best dining experiences we have ever had. We will be back again!!! Dawn our server was absolutely wonderful ! Great setting on the beach. Fresh seafood in a casual environment. Kitchen is slow but once food arrived it was very good. Nice frozen drink menu. Live entertainment on the weekends. Staff, food, and ambiance was amazing. We were excited to try this restaurant due to the beach location. We both ordered black grouper, two appetizers and a soup. Waiting quite a bit for the appetizers. The grouper came out over cooked and bland with almost cold broccoli and mashed potatoes. Very disappointed with the food quality. Will not return. Wanted to love it. It was a memorable experience an excellent breakfast on the beach in Pompano Beach. The food was reasonable and the service excellent. We will definitely return. We sat in the tiki hut and it was absolutely adorable, but that's where the positivity ends. It was a really windy night when we were there- which is totally not the restaurant's fault- but it was quite chilly and they did not have any alternative seating(inside). Our server was really sweet and did a great job. The food was just ok. It definitely wasn't worth $30 a plate. We all left hungry and overall disappointed. We asked for filleted fish. We received, after waiting a VERY long time, a whole fish, displayed on the plate in the most unappetizing way. We did something we never do...left the restaurant!! The service and food left a lot to be desired. Clean and efficient Tiki bar, but basically a small restaurant area that caters for the hotel it belongs to. A big plus is the large car park in front of the resort. Its attached to a hotel and there Happy Hour is lack luster! Nice bamboo tiki atmosphere. Great service and outdoor seating. The food was excellent and our waiter Kevin originally from Spokane was very attentive. 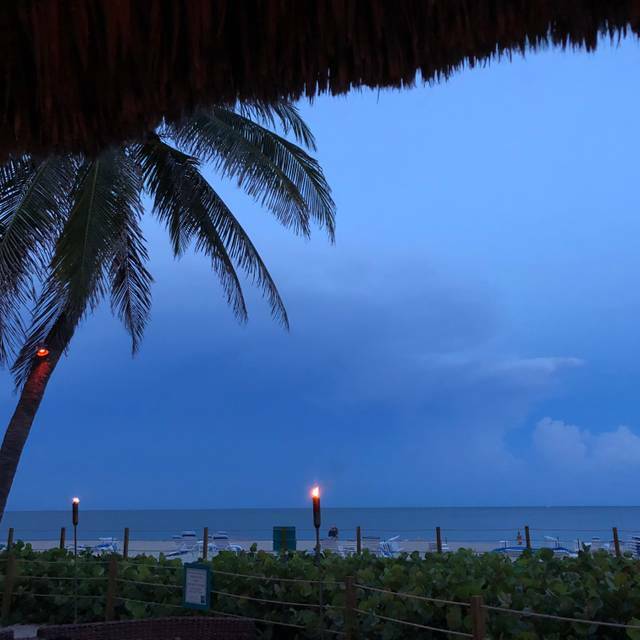 We sat outdoors in the tiki-hut and the water view was great. We plan to bring guests here in the future. Serene ambiance with beautiful ocean view; service somewhat slow however restaurant was busy; reservations recommended! Lovely outdoor dining. Convenient place to meet friends for a relaxed lunch in a comfortable relaxed setting. I love the Ocean Grill. The food is always good, the service impeccable and the atmosphere always special! We have had breakfast here many times! We also have recommended to friends who loved it as much as we do! Fabulous breakfast under the tiki hut! Food is always done to perfection with heaping portions! Wait staff is outstanding! Refills on coffee! You will not be disappointed! Make reservations for breakfast on the weekends as it gets busy!